Wall to wall carpeting in many homes are being replaced with rich wood, tile, and other hard surfaces. But those surfaces on their own may be uncomfortable to walk on or slippery under foot. Most people who have hard surface floors in their homes prefer to cover some of the floor with area rugs and your choices of styles and fabrics are vast. Whether you choose a natural fibre carpet, usually made from wool and/or silk, or a man-made carpet, special care is usually required to clean these rugs. Some methods of cleaning natural fibre rugs can lead to the rug shrinking or the colours bleeding. Other methods may be too aggressive for some delicate rug fibres like silk. We at Ecosuds Carpet & Upholstery Care have years of experience cleaning and caring for fine Oriental, Indian, Afghan, and other natural fibre rugs. 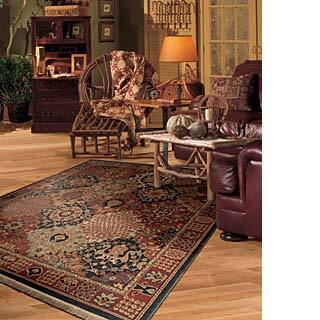 We utilize a low moisture process which applies a gentle foam to your rug (less than 10% water). After a thorough removal of dry soil, the foam is carefully agitated through the fibres of your rug with our large soft 150,000 bristle bush cleaning system which then extracts the dirt and foam from your rug. Fringes are hand groomed and brightened. The rugs are then carefully brushed and air dried. 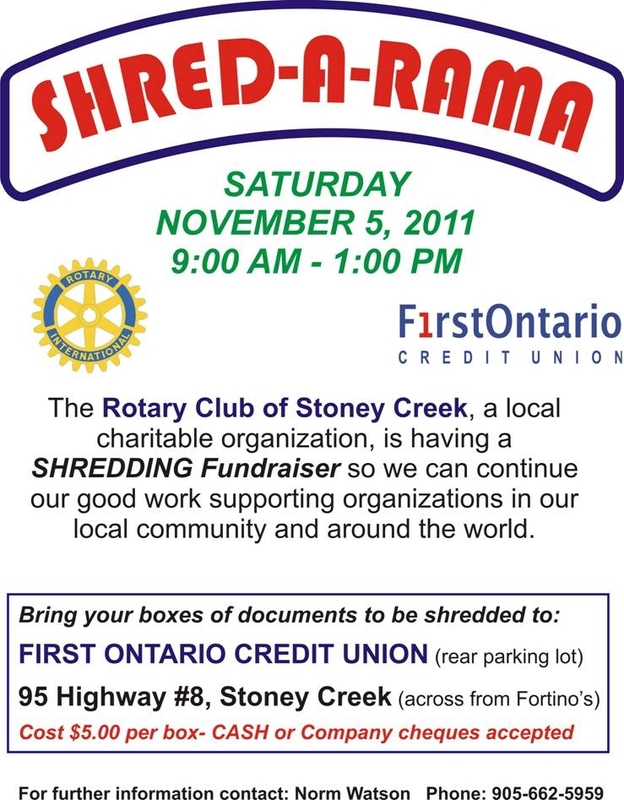 Rotary of Stoney Creek Shred-A-Rama Coming Soon! Do you have boxes of personal and business information at your business or home waiting to be shredded? Dreading the tedious task of shredding those documents in your small shredder, three pages at a time, for hours on end…..not to mention the paper jams and mess it will make? Well, we have the perfect, low cost, and feel good solution you were looking for. The Rotary Club of Stoney Creek is holding a Shred-A-Rama. Bring your documents to the back parking lot of First Ontario Credit Union in Stoney Creek ( 95 Hwy 8 ) on Saturday November 5th from 9AM to 1PM. Integra Shredding will be there with their large mobile shredding truck ready to turn your classified documents into tiny scraps of unreadable recycle fodder for just $5.00 per box. Proceeds will go to the Rotary Club of Stoney Creek and be used for local and international projects. Contact me at phil@ecosuds.ca for more info.